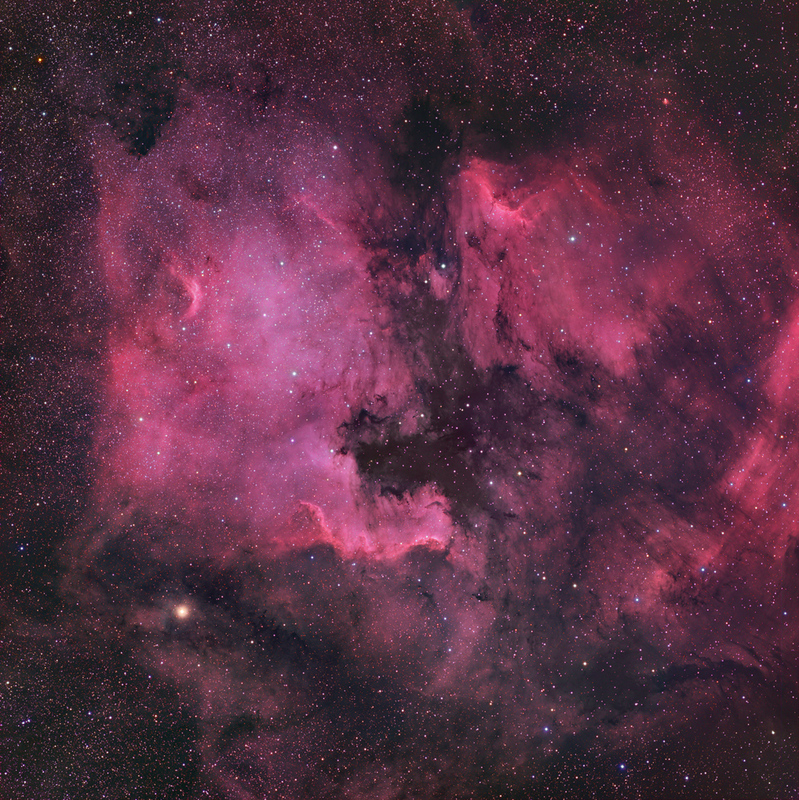 The North American and Pelican Nebulae are favorite targets for widefield astrophotography using either broadband or narrowband filters. The deep shadows and rifts in this region are caused by dust that obscures visible light emitted by ionized gas such as hydrogen, oxygen, and sulfur. More information about this region can be found at Rob Gendler's website. Post-processing: Calibrated, aligned, and stacked in Maxim, followed by DDP in ImagesPlus (IP). Further processing in Photoshop CS (16 bit format).